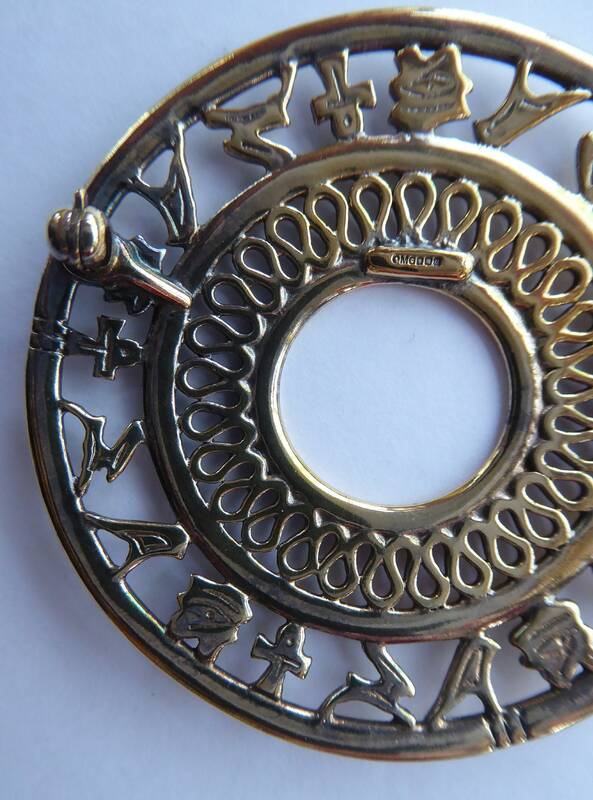 Vintage Scottish silver jewellery by Ola Gorie (Orkney) is now highly collectable. 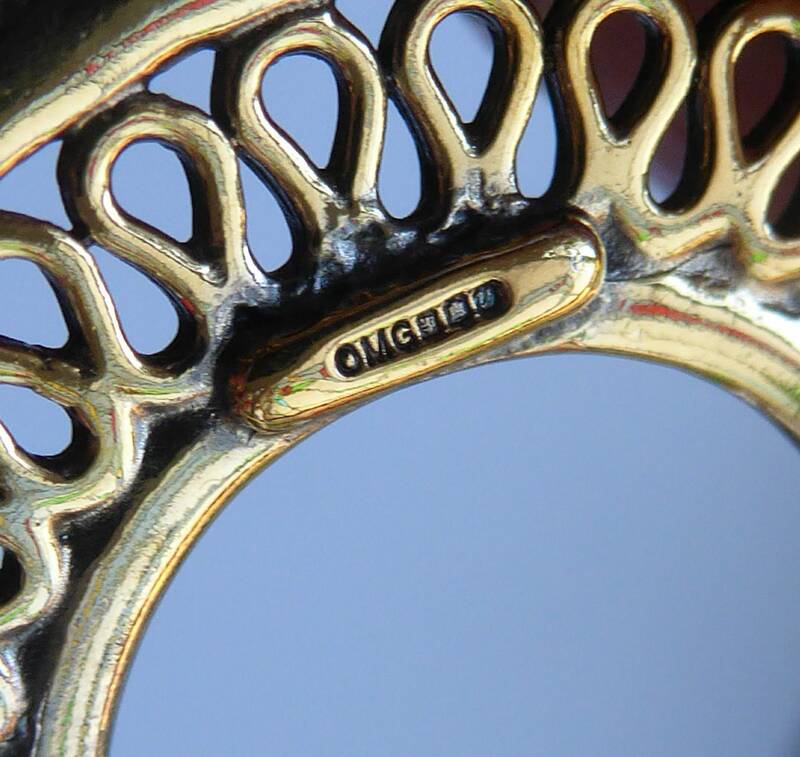 This is certainly a stunning and more unusual example. 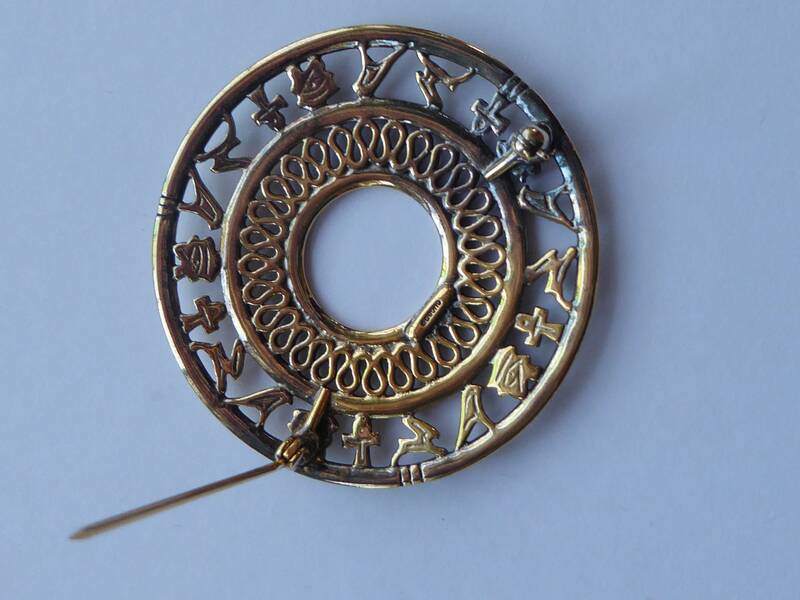 This larger size brooch date to 1994 and was a special piece commissioned for sale in the British Museum. 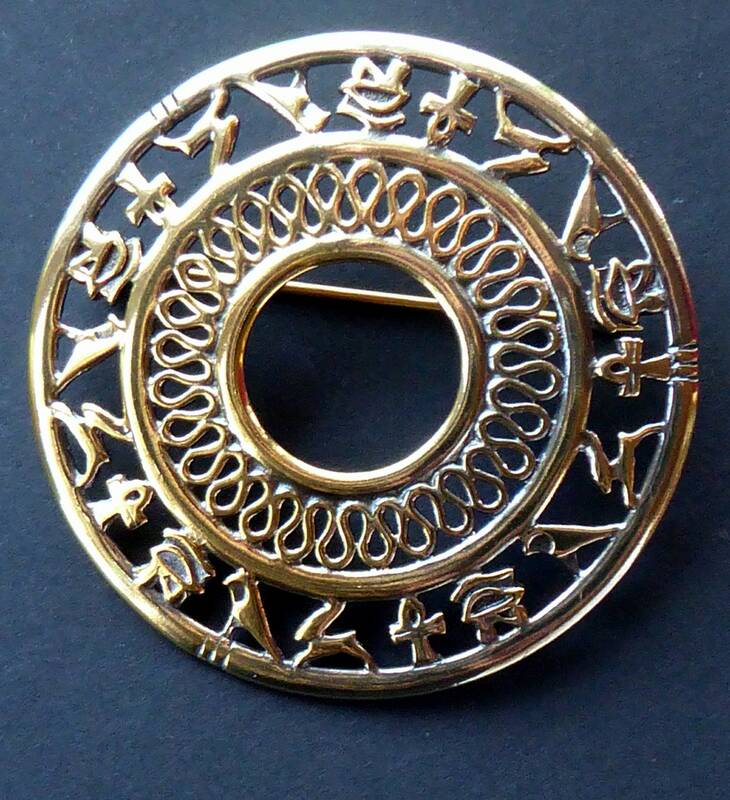 The features an outer decorative ring decorated with hieroglyphs with cut-away sections in the design - and there is an internal decorative ring with a fine decorative loop pattern. 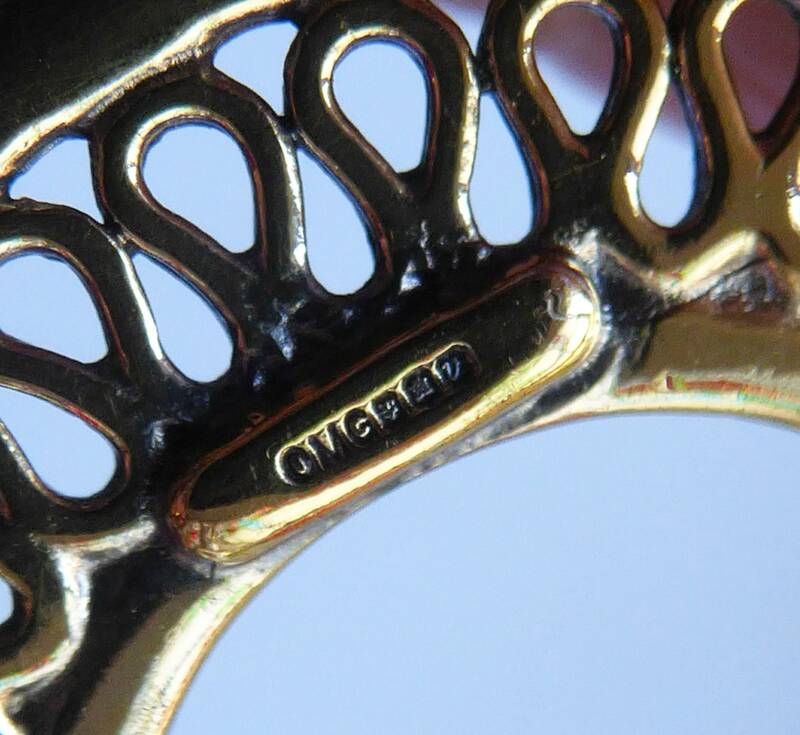 It is stamped with the maker's marks near the edge on the back: OMG, as well as a tiny hallmark - the date letter is a v (which for an Edinburgh hallmark is for 1995). 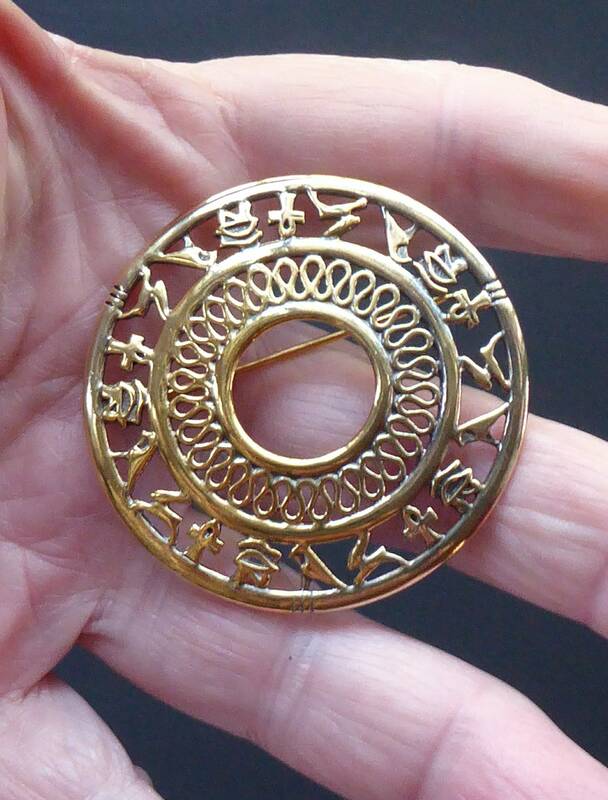 The brooch is large and circular with a diameter of 4.7 cm. 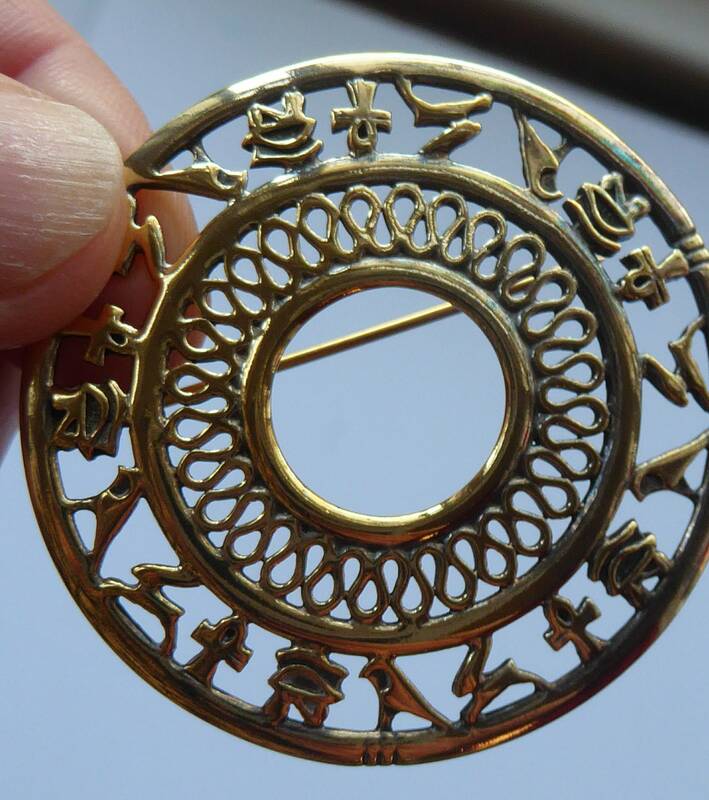 It is made of silver - and it has been finished with a gold wash - so it is more gold in colour than silver. The surface tone is a uniform gold shade - it is certainly not as patchy looking in "real life" as suggested in my images - must be something strange with reflections. 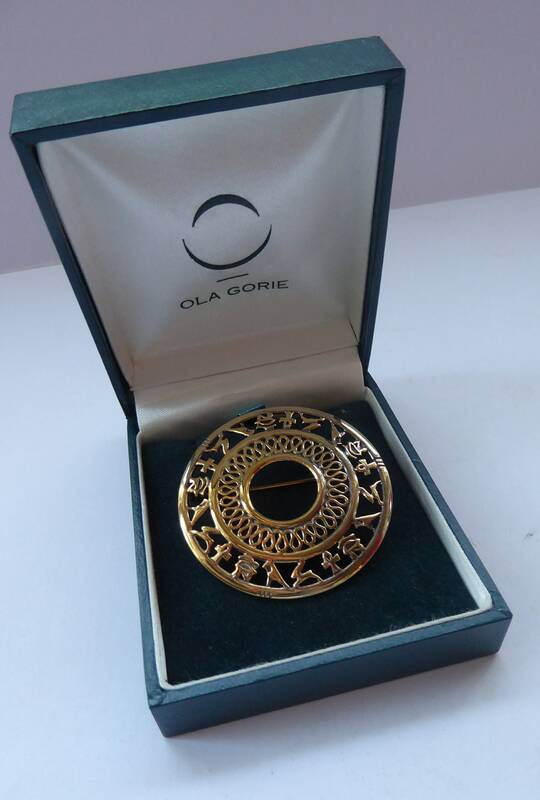 This is certainly a much harder to find and more unusual piece of Ola Gorie vintage jewellery. It is in lovely condition with no scratches to the surface and no issues with the catch. 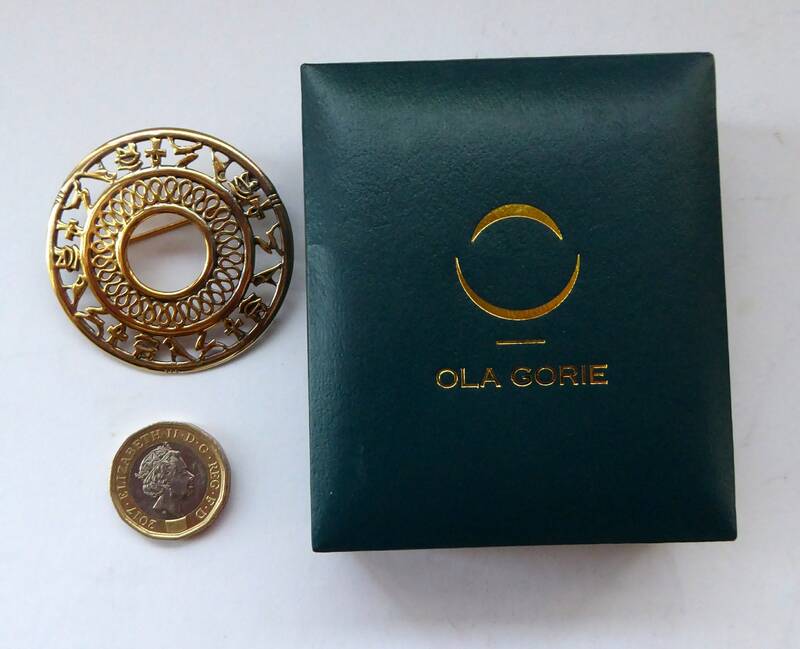 It comes complete in a dark green Ola Gorie presentation box - as photographed. This is a very fair price for this piece. 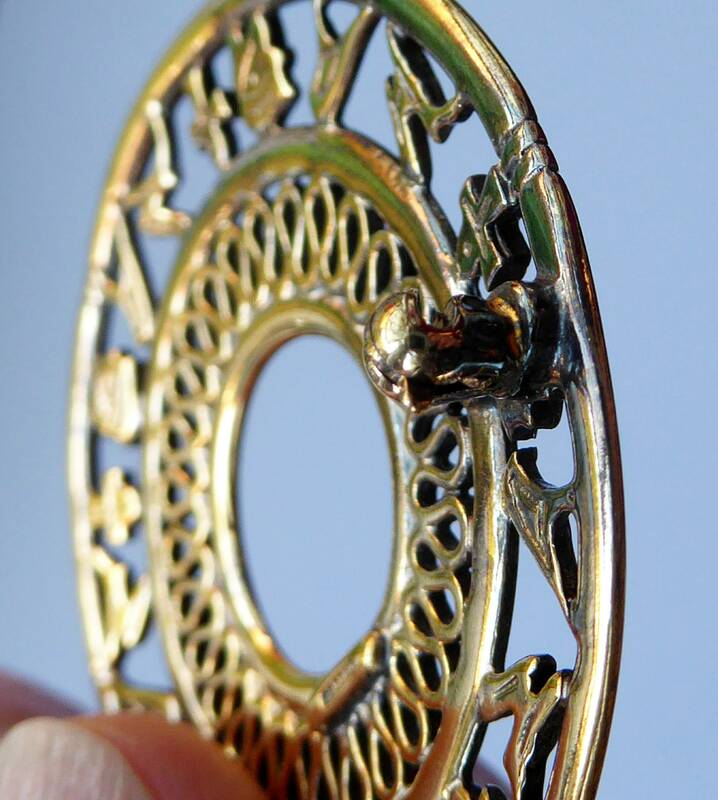 Perhaps an item for a more specialist collector - but certainly a very eye-catching piece.